These are amongst the nicest I have seen. Thank you for sharing! pimanjc (3 years ago) Inappropriate? Thank you. These are very nice. 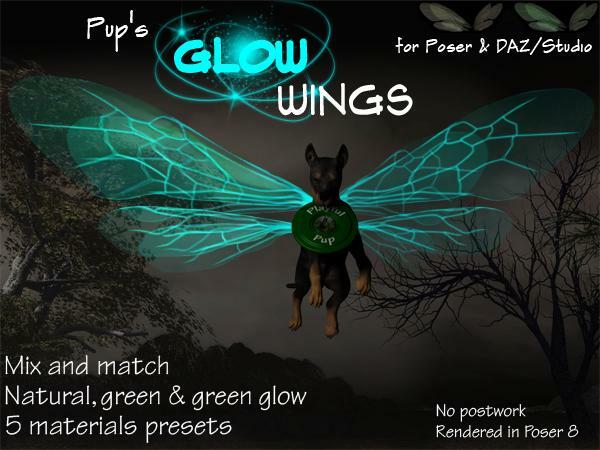 I especially appreciate that they work both in Daz and Poser, since I use both. ethheriel (7 years ago) Inappropriate? Thank you; they look very nice. Thank you, I love these wings. D. Jay Newman (8 years ago) Inappropriate? playfulpup (9 years ago) Inappropriate? TheFatGuy (9 years ago) Inappropriate? Thanks PP, they look great! I know noone ever donates, but they should, and I did! glaseye (9 years ago) Inappropriate? Dani (9 years ago) Inappropriate? They look very nice. Thank you! milafun (9 years ago) Inappropriate?